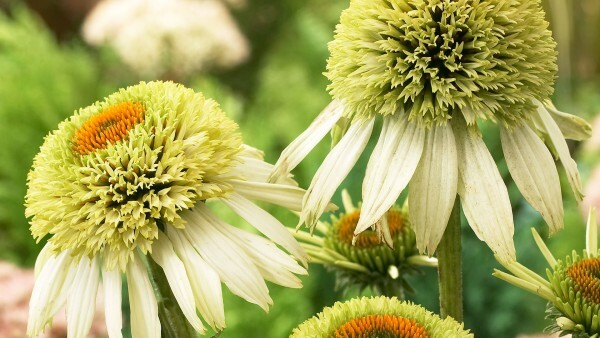 Stunning variety with double pop-pom like flower heads of dazzling lime-green florets surrounded by rings of greenish white ray-florets appear on tall branching stems in summer. Regular dead head will prolong the flower season. Height 75cm. Full sun. Loved by bees and butterflies.